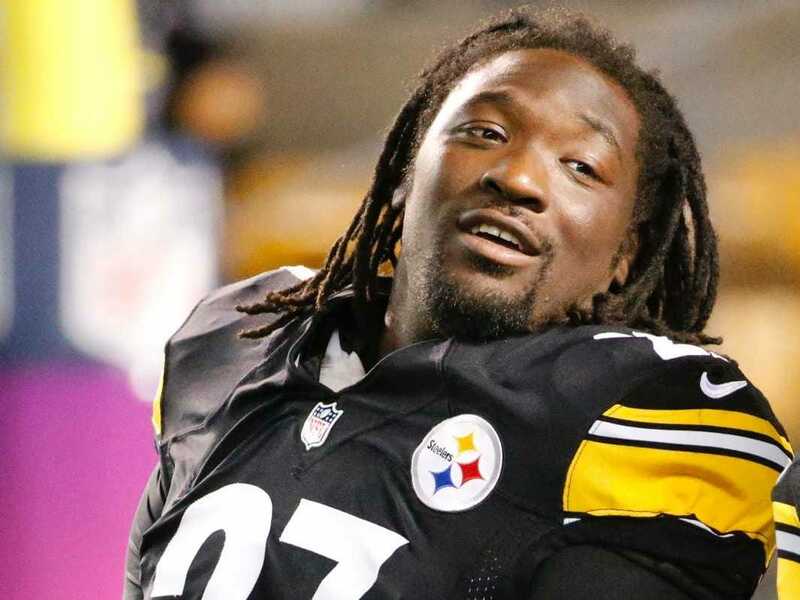 Pittsburgh Steelers player LeGarrette Blount left the field and attempted to exit the stadium before Monday night’s game against the Tennessee Titans was over, Ed Bouchette of the Pittsburgh Post Gazette reports. He was released on Tuesday, the team announced. Blount — who signed a two-year, $US3.9-million contract last spring — has seen his role in the offence steadily diminish in recent weeks. On Monday night he didn’t get a single carry, which reportedly led to his walk-off. 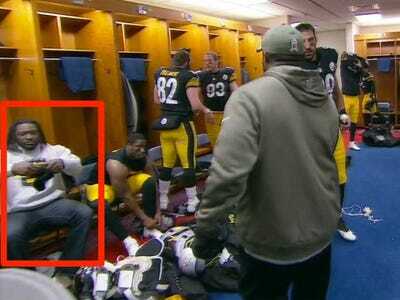 “He dressed and left the locker room, apparently headed for the team bus that would take them to the airport. At least one player thought they should leave him in Nashville. According to TribLive.com, assistant coach Joey Porter was able to stop Blount and get him back to the locker room before he got onto the bus. Blount spent three years in Tampa Bay before reviving his career with a solid season in New England in 2013. The Patriots let him walk after last season, and he landed with Pittsburgh. Instead of being part of a two-headed rushing attack on the Steelers, Le’Veon Bell has blossomed into a star player and eaten up most of the carries. Blount has five carries for 0 yards in his last two games, including last night 0 carries for 0 yards performance in Nashville. According to ESPN the Steelers will only take a small, $US475,000 cap hit in 2015.